The County of Võru (area 2305 sq km, population ca 40,800) is the Southern most county of Estonia, the only one bordering two different States - Latvian Republic (in the South) and Russian Federation (in the East). At the beginning of the 14th century conquerers erected the Kirumpää and Vastseliina Bishop Strongholds in the ancient County of Ugandi. In the 16th century the area came under the reign of Poland, followed by Sweden in 1625 and Russia in 1710. In 1783 a new county was established by the orders of the Russian Czarina Catherine II and it was named Võru after the Manor of Võrumõis. The Town of Võru was established in 1784. Many natural records of Estonia are found in Võru County - the highest peak: Suur Munamägi (318m above sea level), the highest hill climb is Mount Vallamägi (84m base to summit): the river with the greatest descent is the River Piusa (208m), the highest sandstone outcrop: Härma Mäemine (43m), the deepest lake: Lake Rõuge Suurjärv (38 m), the deepest Ancient Valley: Kütiorg (70m) and the biggest oak (the Oak of Tamme-Lauri, circumference - 8m). You can spend active holidays in the County of Võru all year round. There are many hiking trails, camping on the shores of lakes, swimming and fishing and in wintertime skiing, motor sleigh and horse sleigh rides are available. Comfortable tourism farms offer good accommodation. 1. Haanja Nature Park (area about 17,000 ha) is situated on the Upland of Haanja and was established for the protection of the highest region of Estonia and the Baltic States. In addition to the beautiful domed hills, deep valleys and picturesque small lakes old villages, customs and cultural traditions have been preserved here. 2. The highest point of the Baltic States Suur Munamägi (318 m, from foot to summit 62m) is situated in the Southern part of the Village of Haanja, 18km South from Võru. There is a permanent exhibition in the 29-meter observation tower which is situated on the top of the hill and was built in 1939 and renovated in 1969. 3. The beautiful ancient Valley of Rõuge is up to 60 meters deep with many supplementary valleys: Tindi, Oobiku, Kiidi, Hinni, Jarveotsa, etc. The most famous supplementary valley is the 300 m long and 12-15 m deep Ööbikuorg (the Valley of Larks), which in springtime echoes with the singing of larks. At the end of the valley there is a small reservoir. In the bottom of the Ancient Valley are seven lakes forming a 6.5km chain, among them is the deepest lake in Estonia - Lake Rõuge Suurjärv (38m). Lake Rõuge Suurjärv, like the other lakes of Rõuge, was formed at the end of the Ice Age as a result of the erosion by melting ice water. The flora of the lake comprises of 22 species. In the lake you can find the rare kind of moss - Fissidens Julianust, broad-leaved pondweed, white and yellow lilies. In the course of war an old and beautiful church with silver bells drowned in Lake Suurjärve and from that time every year before Michaelmas Day (29 September) a beautiful bridge rises over the lake, across which the figure of a monk walks shouting: "There will come a time when the Church with bells will rise again!" The Ancient Settlement of Rõuge, covering an area of approximately 7000 sq m was in use in 5-11th century. The Stronghold was erected next to the settlement in the 6th century on a good location, on the high shore of the cape of Lake Liinjärve. From the sides the stronghold was protected by steep, high, natural slopes, it is possible that there was also a defensive log fence. The Stronghold has been burned 6 times. In the course of excavations the remains of the clay floors of wooden buildings were found; the ruins of a 10 meter long log building situated lengthwise in the courtyard of the stronghold were also found. The animal bones and artifacts associated with weaving and bone processing found show that the stronghold was a permanent residence for a long time. In the 16th century the first stone church was built in Rõuge - the Rõuge Maarja Church - at the expense of the Landlord Kursel. Life centered around the Church: a school, tavern, cemetery, pharmacy with a doctor, shop, etc. were built here. 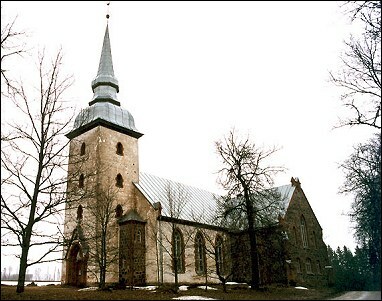 On 15 August 1730 the Church was consecrated to the Maiden Maarja. The Organ, built by the famous Organ Master Brothers of Kriisa for their home church in 1929, is one of the best and mightiest organs in Estonia. The English-style Park of Rõuge was established on the edge of the Valley of Rõuge by the Landlord Samson von Himmelstjerna in 1895-1898. The Park has an area of 5.3 hectares and is designed around the Manor building on relatively flat land. From the density of tree cover the park is more like a forest park, with a high percentage of conifers. A great diversity of species - including many exotic species like ginnala maple and Siberian fir can be found here. 4. 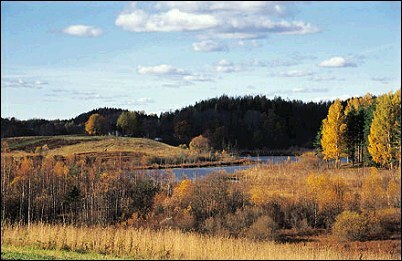 Lake Vaskna is one of the many "mountain lakes" hidden between the domes of Haanja. 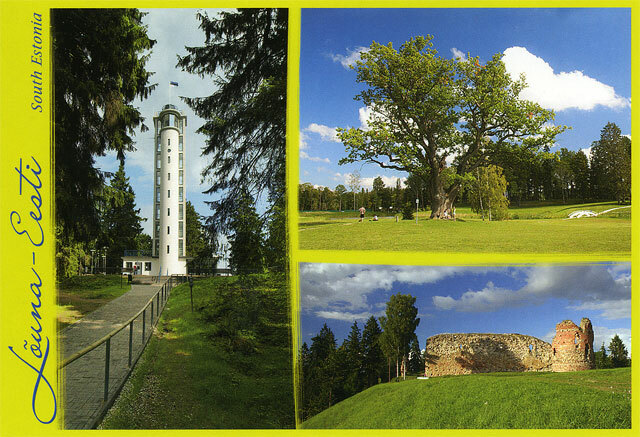 The best place to admire its indented coastline is the observation tower of the Mount Suur Munamägi. There are 4 islands in the lake at low tide and 2 at high tide. Despite their small area, the lakes of Haanjamaa are very deep and steeply shelving. 5. Vana-Antsla Manor: Vana-Antsla was first mentioned in 1405 as a vassal stronghold. In the 15th century Hermann von Uexkull established the Manor of Vana-Antsla. The current manor buildings were built in the 18th century. The Manor is a surrounded by a 12-hectare park with varied landscape and many ponds. Some 140 different kinds of trees and bushes and 158 plants grow in the park. 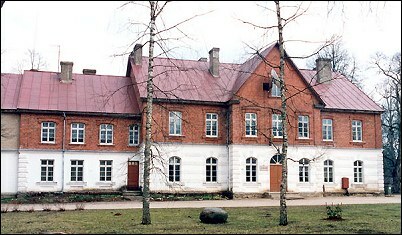 Altogether there are more than 20 different buildings belonging to one of the most majestic Manor Complexes in Võrumaa. 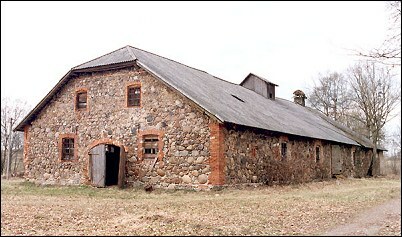 The oldest building is a so-called bottle-house - the former gardener's house-apple barn. Currently the Vocational School of Vana-Antsla is situated in the Manor. 6. Rogosi Castle Manor - the most unique manor complex of the Polish reign (18th century) - is situated in Ruusmäe. Currently the Manor Complex houses a school and guesthouse and there is a small museum in the bell tower. 7, 8. There are two Orthodox Churches in the Parish of Meremäe: the Estonian Orthodox Issanda Muutmise Obinitsa Church (1952) and the Meeksi Ristija Johannese Church (1953). Both Churches were built in the lifetime of Stalin by the members of the congregation. The Churches were built at night and it is surprising that the builders escaped from persecution. 9. Near the Church of Meeksi, on the other shore of the Meeksi Brook there is the Jaanikivi (sacrificial stone) and a curative spring. It is supposed that Saint Jaan sat and rested on this stone. Once the stone was broken into pieces and the pieces were used to build the wall of the landlord's cattle-shed. Soon accidents started to happen: some of the cattle died, some got sick. The hardships ended when the pieces of stone were returned to the original spot. Even now people believe in the curative effect of the stone: ill people are brought to the stone, an aching arm or leg is placed near the stone, etc. Candles are lit on the stone. 11. 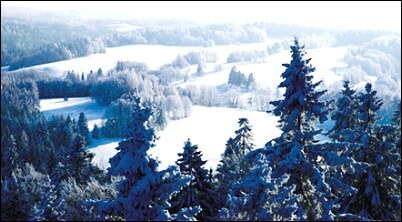 From Mount Meremäe (202m) and Mount Kuksina (212m) you can see the whole Parish of Meremae, if the weather is good. You can also see the Church of Vastseliina and the golden cupolas of the Petseri Convent. In the old days in good weather one could also see the reflection of the water of Lake Pihkva and this is how the place got its name. 12. The Obinitsa Reservoir was completed in 1995. The clear-water lake covering the area of 22 hectares is suitable for swimming, fishing and boating. On the high shore of the lake the Monument to Seto Lauluema (Singing Mother) is situated. On the left shore of the lake there is a sandstone outcrop and a cave. The cave, associated with many legends, has also been called - Juudataro (the Cave of Imps). One legend about the Juudataro says that when the building of a church began on the shore of the lake in the old times, the imps came and destroyed the church. The builders started again the next day, but coming back in the morning they found that the church was again flattened! So they gave up building the church there and erected it on the top of the opposite mount instead. In the Setu Farmhouse Museum you can learn about farmhouse architecture, old tools and rich handicraft from the period of the end of the 19th century and the beginning of the 20th century. In addition there are thematic exhibitions changing all year round - from new to old, from handicraft to art, from archaeology to history. Visitors of the Museum have the opportunity to book Setu handicraft-training, concerts by folklore ensembles, smoke sauna and a picnic table with Setu food. 13. 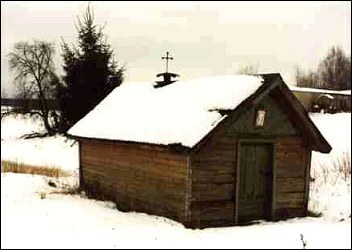 Tsässonas - Practically every village in Setomaa has a chapel of its own, called tsässona. Usually these were small wooden buildings with many icons, long, narrow scarves hanging from an icons cupboard, candles and flowers. On the roof of tsässona there was a small cross. In 2002 there were 11 tsassonas in the Parish of Meremäe. 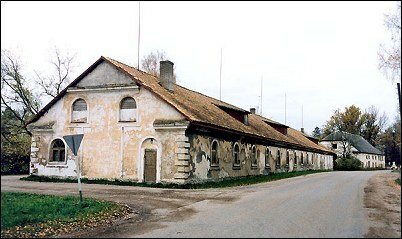 Some of them have been preserved from the old times, some have been restored or repaired: Võmmorski (1999). 14. The Devonian sandstone outcrops - Härma Hill-side Wall and Härma Lower Wall - situated in the Landscape Reserve of the ancient Valley of the River Piusa are worth seeing. The Härma Hill-side Wall or Cellar Wall, near the Village of Härma is the highest (43m) Devonian sandstone outcrop in Estonia. 19m of the outcrop can be seen; the total length of the outcrop is 150 meters. The Härma Lower Wall (or Kolksniidu) is a 20.5m rock and one of the most beautiful in the Valley of Piusa. The pattern of its many-colored layers has created a real natural sculpture. A small fragment of the Estonian movie "Libahunt" ("The Werewolf") has been filmed found on Härma Lower Wall. 15. In the Mõniste Museum you can use old tools to drill, saw, spin, weave, mangle, make rope and cord; learn how trees and shrubs used to help against pain and anger and protected people from accidents and the Evil Eye; you can find a well with a magic rod or go on a riding camp with a family. You can learn about buildings and things of the Czar period and of the period of the first Estonian Republic. 16. Historical documents tell many interesting things about the Manor of Viitina thanks to the adventurous life of the wife of the landlord Barbara Juliane von Krudner. The last owner of the Manor was Arthur von Wulf (since 1902). 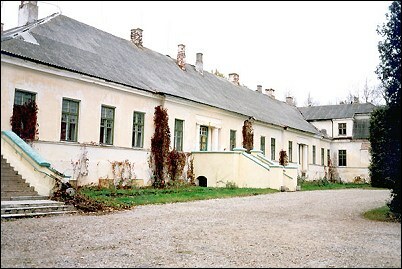 Upon the formation of the Estonian Republic the Manor was nationalised, but was not divided, as a new agricultural school was planned to be established there. The Manor was finally divided in 1924, a great part of it was bought by the former landholder. 17. Hinni Canyon (the only one of its kind in Estonia) is situated near Lake Kahrila, in the strictly protected region of the Haanja Nature Park. The Canyon is a 15-20m deep and 300m long steep-sided, sandstone valley, with a fast flowing stream - the Brook of Enni at the bottom. The beautiful work of nature can be found in the sandstone walls. Many grooves made by the water can be seen on the bottom of the Canyon and there is also a small spring cave. 18. Luhasoo Landscape Reserve is situated in the Parish of Rõuge on an area bordered by the River of Pärlijõe and the state border between Estonia and Latvia. It was taken under protection in 1981 as the biggest integral marsh, almost untouched by human activity. The area of the Reserve is approximately 800 ha. Particularly interesting are the 15 mineral islands found in the bog. There are three steeply-shelving bog lakes with a limited range of species in the reserve (Mustjärv, Tiksijärv, Puksijärv). Most of the Luhasoo Reserve is a coot bog covered with forest and bog flora. A plank-road has been built to make camping in the reserve easier. 19. 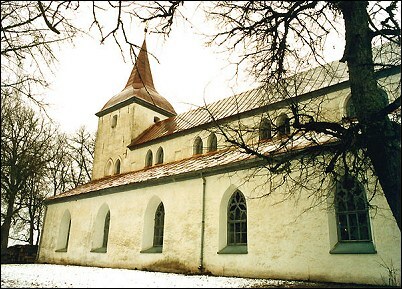 The Church of Urvaste, built in the 13/14th centuries is one of the oldest sacred buildings in Estonia. It is the only Basilica-type country church in Estonia. The brick-walls dating from the 15th century have been preserved. 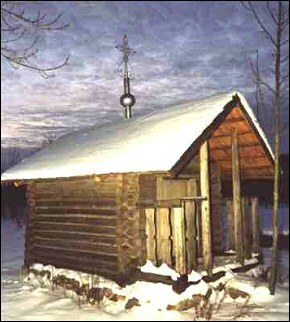 The current Church was built on the initiative of a Landlord of Antsla Peeter Uexkull. The Church has suffered many wars and was restored in the 16th and 17th centuries. The Altar painting dates from 1885 and the artist is C.Walther. The Organ a masterpiece of the Brothers Kriisa dates from 1937-38 and the Church Bells from 1832. 20. The Ancient Valley of Urvaste is a long and narrow valley formed by ice-melt waters. The length of the Valley is 15km and the height of the sides approximately 40m. Most of the valley and branch valleys are covered with the sediments of later times (mostly with till). At the bottom of the valley are typical valley lakes Lake Uhtjärv and Lake Loodla. 21. 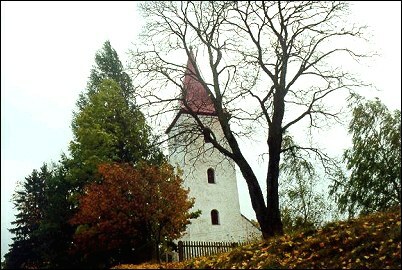 A 14th century Bishop Stronghold is situated in the Parish of Vastseliina, in Vana-Vastseliina. The Stronghold was erected on the initiative of the Bishop of Tartu and the Order Masters of Livonia and thanks to rebuilding and expanding works it became a mighty border stronghold. The Stronghold was completely destroyed by the Russians in the North War (1702). In the Middle Ages the Church was known in the Catholic world as a destination of pilgrimages due to a miracle cross it owned. The Tavern of Piiri is situated on the foothill of the Bishop Stronghold, near the former important trade route of Riga-Pskov. The Tavern with a horse post station is mentioned in the Road Atlas of 1695. The Tavern sold products of the local manor and was a resting and leisure place. The activity of the Tavern of Piiri boomed in the second half the 19th century due to the development of the wine industry. In the times of the Soviet reign the building was used in many different ways. The tavern was opened as a catering and entertainment establishment at the beginning of the 1990s. 22. The first Church of Vastseliina kirik was situated in a stronghold; after the North War in 1769 a new stone church was built some 10km away from the previous one, on the lands of the current Minister of the Church, in the Village of Külaoru. In 1772 the so-called German cemetery was founded and a Chapel was erected, as this was the burial place of the German congregation. There is an Organ, built by the Brothers Kriisa in 1911 preserved in the Church. 23. 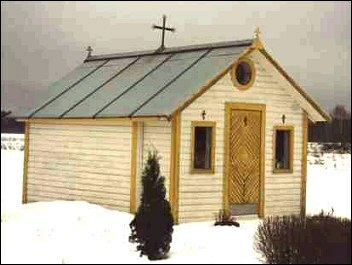 One of the most peculiar sights in the Parish of Vastseliina is the Puutli Orthodox Church in the Village of Puutli. Nine families that came to live here from Russia built the Church in 1935. 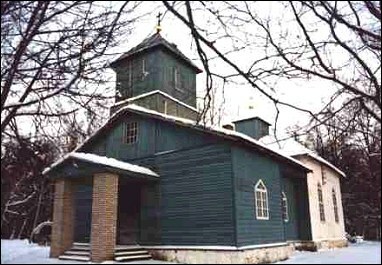 It is a wooden church, which originally had a shingle roof; inside the Church is decorated with rich ornaments and icons. The Church was active until the start of the Second World War, but also later some services have been performed here. But now time has made its mark and the Church is not in a good shape any more.